At Tiger we believe rice should be perfectly moist and fluffy every time. It’s why we create state-of-the-art machines that cook rice of all types with large LCD displays that allow you to pre-set cook times to suit your schedule. 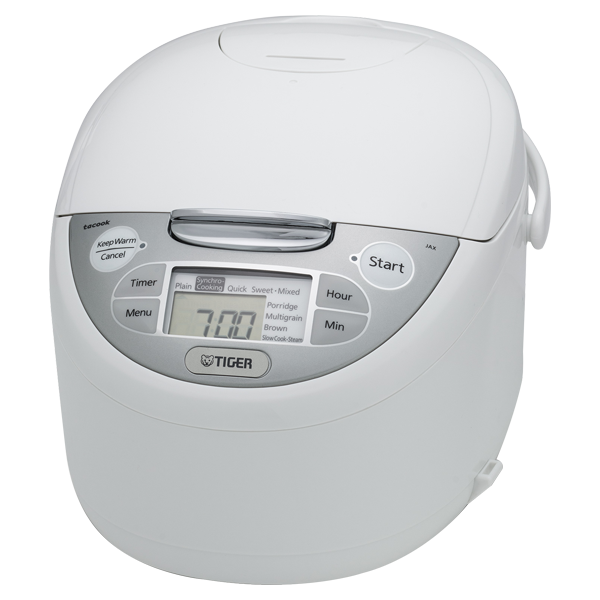 The TIGER JAX-R multi-functional rice cooker allows you to prepare two dishes simultaneously with the new “tacook” synchronized cooking function. With minimal preparation and the press of a button, Tiger's Automatic Cooking Logic™ system actively monitors cooking temperatures to create the perfect meal. 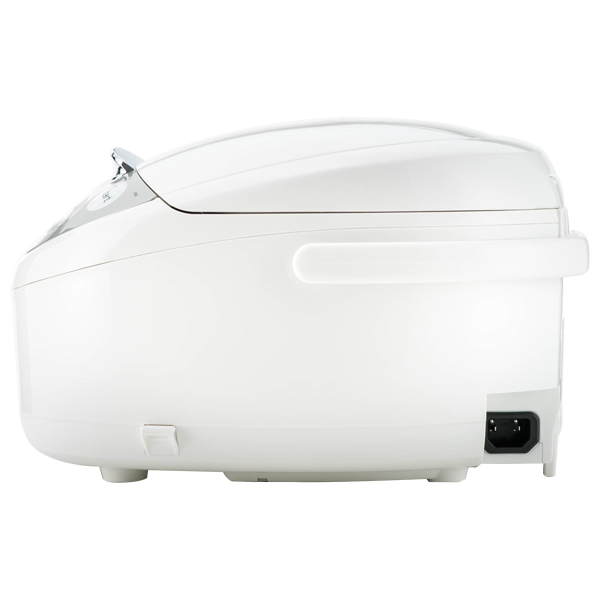 Unlike other rice cookers, Tiger's cooking plate is specially designed so the flavors from the cooking plate do not affect the flavor or texture of the rice. 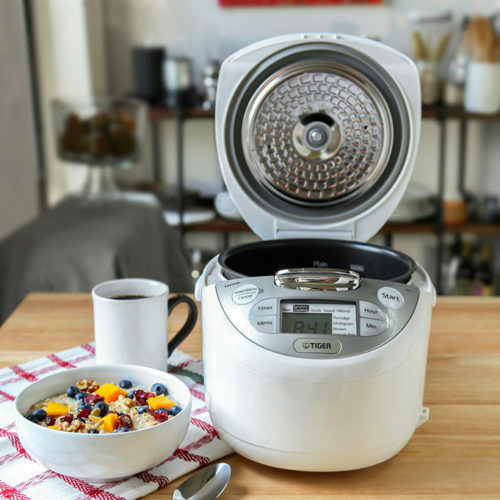 Other convenient features include a slow cooker function for stews and soups as well as a porridge function for risottos or rice porridge. 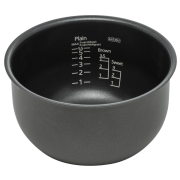 Two preset cooking timers allow the user to delay cooking. 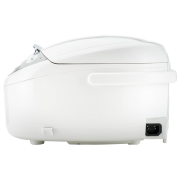 The TIGER JAX-R multi-functional rice cooker allows you to prepare two dishes simultaneously with the new tacook synchronized cooking function. 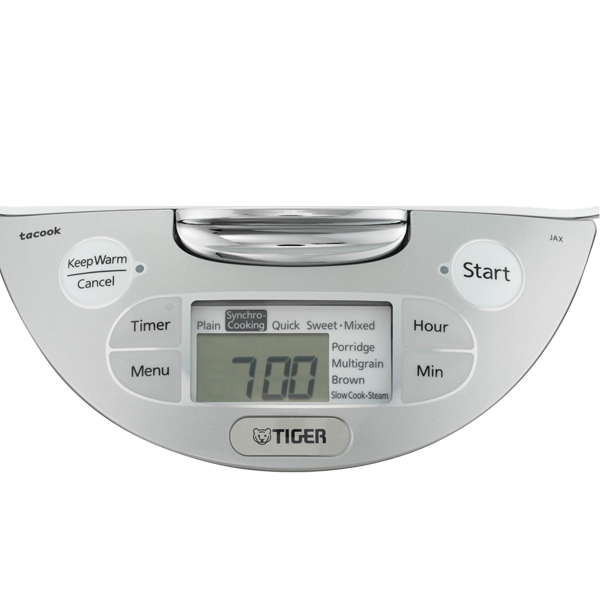 With minimal preparation and the press of a button, Tiger’s Automatic Cooking Logic™ system actively monitors cooking temperatures to create the perfect meal. 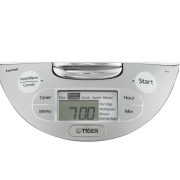 Unlike other rice cookers, Tiger’s cooking plate is specially designed so the flavors from the cooking plate do not affect the flavor or texture of the rice. 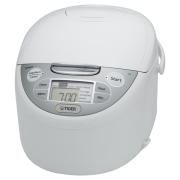 Other convenient features include a slow cooker function for stews and soups as well as a porridge function for risottos or rice porridge. 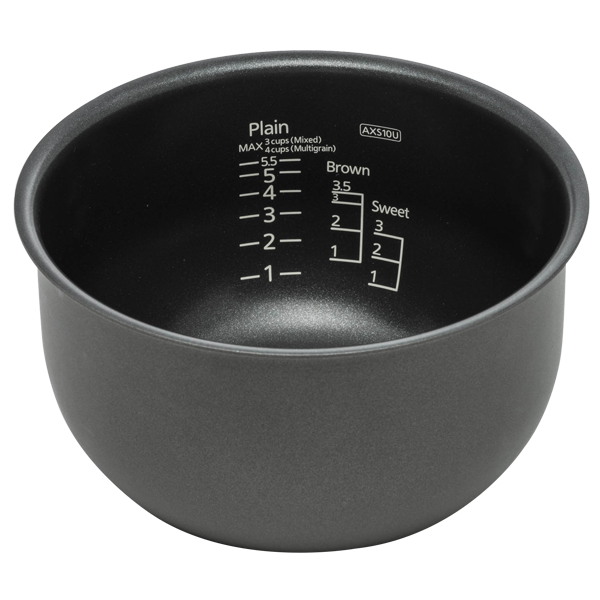 Two preset cooking timers allow the user to delay cooking.